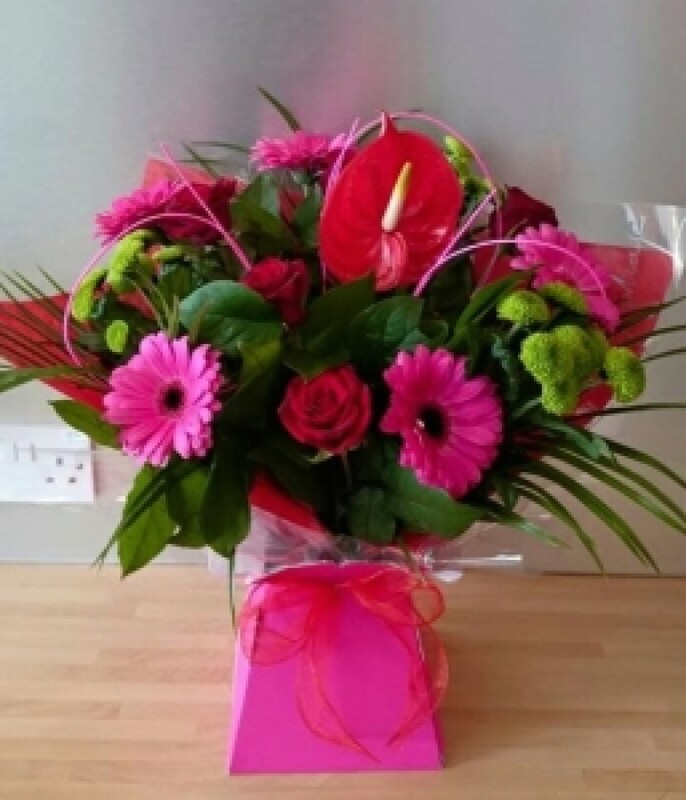 A signature DVF aqua pack with a mix of cerise pink gerberas and red roses with an anthurium as the focal flower. We have used kermit chrysanthemums here which gives a zesty lime green which goes perfectly with the pink. Food and water already in this presentation box, so no need for a vase. Simply top up every couple of days with water into the centre of the bouquet to keep the bubble of water inside full. The picture is a standard size.